As some of you may already know, AT&T announced that it is bringing back “Unlimited Data” for its DIRECTV and UVERSE customers at $100 for the first line and $40 for each additional line. I was originally on AT&T wireless back when the first iPhone came out and signed up for the only data plan at the time. At that time, it was the Unlimited Plan for $30 on top of my monthly limited talk plan. Back then we consumed much less data, so it was quite difficult to push the limits of the network. As time progressed, data usage increased and mobile carriers were forced to rethink their strategy by limiting data and taking away our “unlimited” plans. Looking at the mobile landscape, it’s somewhat of a recent trend to bring back Unlimited data plans once again – even though they aren’t really all they are cracked up to be. AT&T is bringing back its Unlimited Plan tomorrow, with the caveat that they can slow your data speeds after you’ve consumed more than 22GB of data. How the FCC lets AT&T get away with this kind of false advertising blows my mind, but I am not an attorney so there’s probably some loophole that AT&T is taking advantage of that I don’t know about. AT&T claims only 1% of users will actually be throttled, but without actual proof of who they throttle we just have to take their word for it. And yeah, I’m not buying it. Why? Because I was a customer on the Unlimited Plan and was throttled at 5GB before AT&T raised the limit to 22GB late last year. Although I rarely ever went over 5GB, but when I did, AT&T sure let me know about it and slowed my phone to a grinding halt. The FCC is supposed to protect us from this kind of behavior, but somehow AT&T and others get away with this practice. T-Mobile has been attracting customers with intelligent marketing and with a CEO who knows how to advertise better than the rest. He’s a bold and unfiltered genius, but nonetheless he still manages to oversell his products. Binge On is T-Mobile’s latest gimmick where you can watch unlimited videos without affecting your data usage in addition to unlimited music streaming. Technically you can watch all of the video you want, but T-Mobile has been downgrading the quality of the “unlimited” videos to 480p, or less than ideal resolution. Sprint and Verizon have been staying out of the battle between AT&T and T-Mobile, but they have their own sets of issues. Sprint is definitely the cheapest offering of the carriers but you get what you pay for. Sprint regularly is rated the worst provider by Consumer Reports surveys, and it’s a rarity that I ever come across a satisfied customer from them. Verizon is regularly rated the best of the big four carriers but customers also tend to pay the most for its service. And both carriers use CDMA as opposed to the GSM network which highly limits the types of phones that can be used on the networks. It’s almost as if the companies are colluding behind the scenes to confuse us as they overcharge us for phones and service. It’s time to consider making the switch to Project Fi which has not been getting any attention lately. 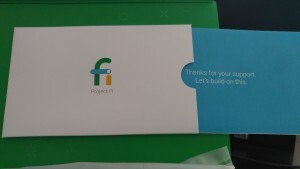 Project Fi is Google’s answer to providing true value to the wireless customer. Google created its own cellular service by combining two existing networks, T-Mobile and Sprint, and connecting them to its own Nexus devices. Right now only Google’s Nexus 6, Nexus 5X, and Nexus 6P can be used to access the network. The benefit? According to Google, it’s a simple matter of having “the best of two 4G LTE networks so you can connect to more towers”, resulting in faster speeds and more coverage. Project Fi’s pricing plan is as straightforward as it gets. The basics start at $20 per month which includes: unlimited domestic talk and text, unlimited international texts, ability to use your phone as a Wi-Fi hotspot, and coverage in 120+ countries. Each gigabyte of data costs $10 with no annual contract. The great part of the Project Fi plan is that you never pay for unused data. 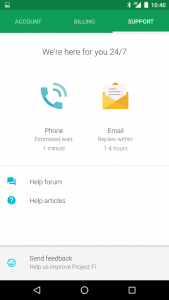 Similar to other carriers, Project Fi allows you to make calls and texts over WiFi which is perfect for times when you’re in an office building with poor reception or you want to preserve data while you send picture or video text messages. Wireless plans are confusing. You think you’re signing up for a plan that costs $55 per line, or for a family plan for four for $180, and at the end of the month you just eat the enormous hidden costs stacked onto your plan, because you’re under contract or on a finance plan. It can costs hundreds of dollars to free yourself from a carrier. Wireless providers also love to confuse you with things like connection fees or weird service charges. Project Fi does away with all of those shenanigans and even refunds you money for unused data. How did Project Fi perform? Being a current customer of AT&T, cellular access is more important to me than unlimited music and video streaming. I tend to use my devices primarily for staying in touch with friends and family and also staying connected to my primary job. I rarely am streaming videos or music when I am out and about. However, every time I do set up a new phone, I always download my music playlists over WiFi for my daily workouts. I prefer High-Res music from TIDAL on my phone, and streaming never does music justice so I always download it. Where I tend to live and travel, AT&T rarely provides bad signal. It’s definitely difficult to want to make the switch when my service works well. And I do know that Sprint’s and T-Mobile’s networks are great in most cities, but are terrible once you go outside of city limits or sometimes even indoors. In the past few months I have traveled to Reno, Boston, Las Vegas, San Fransisco, Oakland, Sacramento, and I live in San Diego. In every city, I have brought along my primary AT&T phone and I also brought along my Project Fi Nexus 5X. My go-to app to check data data speeds is Speedtest.net where it has an average rating of 4.4/5 stars on the Google Play Store from over 700k users. In every head to head speed test I ran in every city, Project Fi easily matched if not outperformed the AT&T network. I would go inside buildings, drive to the city limits, hang out in the center of hotels, and Project Fi always performed extremely well. Uploads speeds were always better than AT&T on Project Fi’s network, frequently averaging 15-25mbps over AT&T’s 4-8mbps on the LTE network. I am 100% confident in Project Fi’s ability to serve my cellular needs and have come to the conclusion that it outperforms AT&T service. 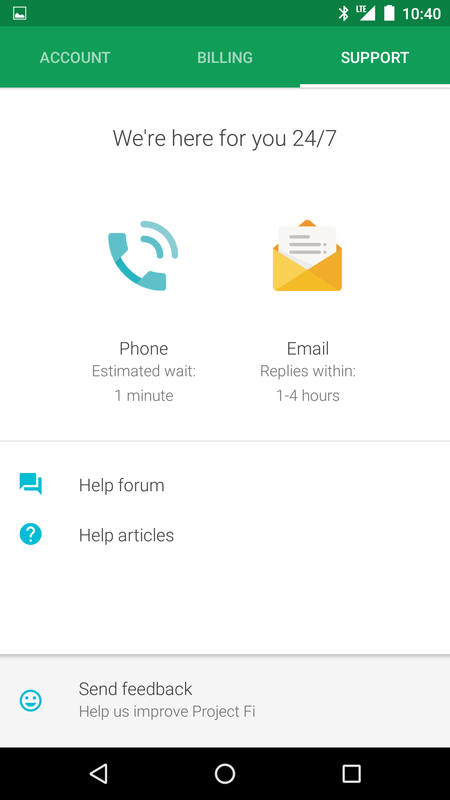 When I set up my Project Fi service I needed to make a call to customer service to activate my line. I got through at 11pm at night, in the middle of December, to a U.S. based representative and was off the phone in a matter of minutes. My needs were met and I was off and running. To see if my experience was a fluke, I contacted Project Fi’s customer service team a few more times and every single time was the same exact experience. Educated representatives are a dream come true when it comes to mobile support. Chatting with AT&T’s customer service is nothing short of a nightmare that I cannot wake up from. If you were on Project Fi you would pay exactly $45 for your monthly mobile plan with unlimited calls and texts with 2.5GB of data. Why pay $100 for unlimited if you don’t use it? If AT&T claims it throttles only 1% or less of its users, then there is no need to pay the extra money for peace of mind when you can save yourself $55 per month. Do you really need unlimited music streaming and videos? If you do, and are a part of the top 1% of data users, then stay with AT&T or T-Mobile. Or, you could learn to download those songs and videos to your mobile devices when you’re on a WiFi network and save yourself money. An additional $55 per month over the course of one year works out to be $660, which is the cost of a brand new mobile phone every single year. You could buy yourself the most expensive Nexus 6P which is the 128GB model at $649 instead of always having access to multimedia every single year. 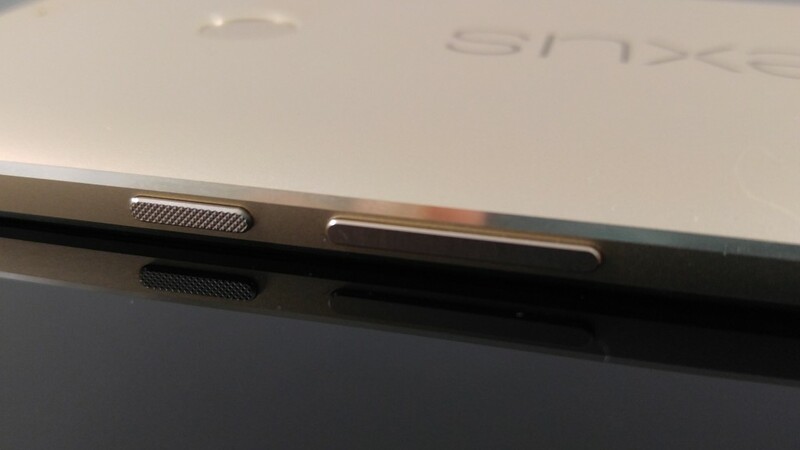 The base Nexus 6P from Google comes with 32GB of memory, and that is typically enough for most users. Google Photos even has unlimited cloud storage for your photos allowing you to save even more money by not upgrading memory since the base model 6P comes in at $499. 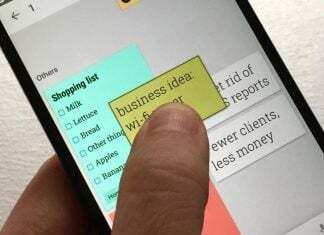 There are some limitations to Project Fi, and the types of devices you can use can be considered one if you happen to like Apple or Samsung made smartphones. 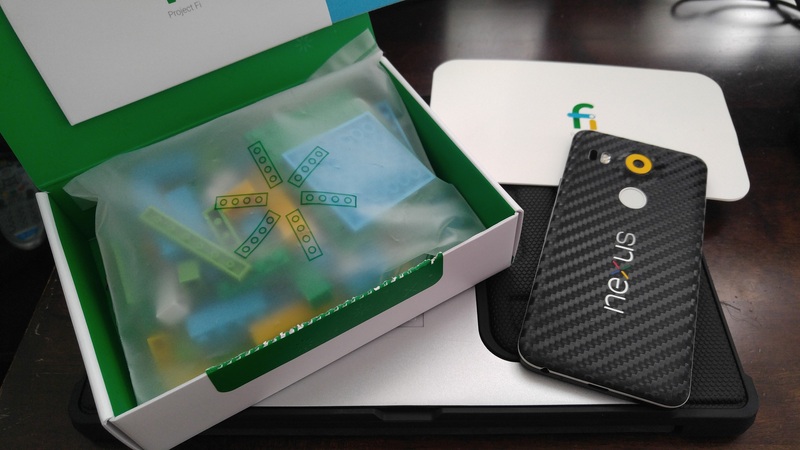 Only Google’s own Nexus 6, Nexus 5X, and Nexus 6P can be used on the Project Fi network. Many consumers don’t even know Google produces its own phones, but it does to show off pure unadulterated Android software. 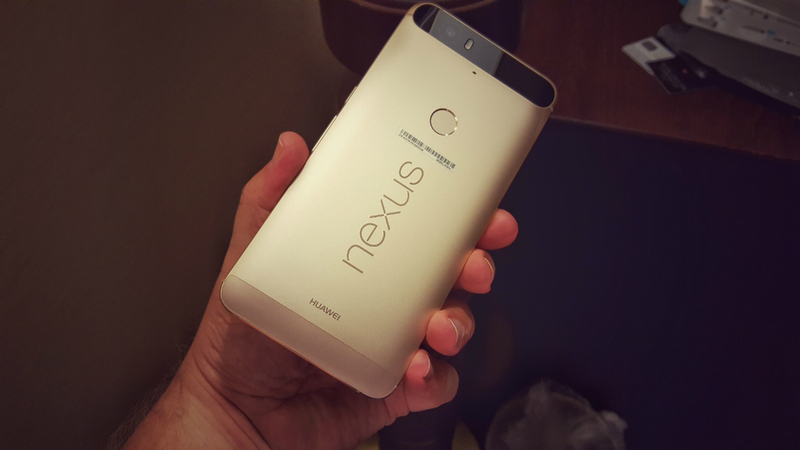 Nexus 6P in Matte Gold. There is a major benefit in owning a Nexus device in that Google always updates its own phones first. Manufacturers like Samsung and LG have to update Google’s updates because of the customization they do to Android, and in some cases updates can take over a year even on their flagship devices. Nexus phones can get updates as quickly as a month when one is needed. For example the $700 Samsung Galaxy Note5 owners are still awaiting Google’s latest iteration in Android 6.0 Marshmallow, while the pure Nexus 6, 5X and 6P have been running Android 6.0 since October of last year. Samsung has a terrible track record of getting updates out in a timely manner, leaving many of its customers dissatisfied. 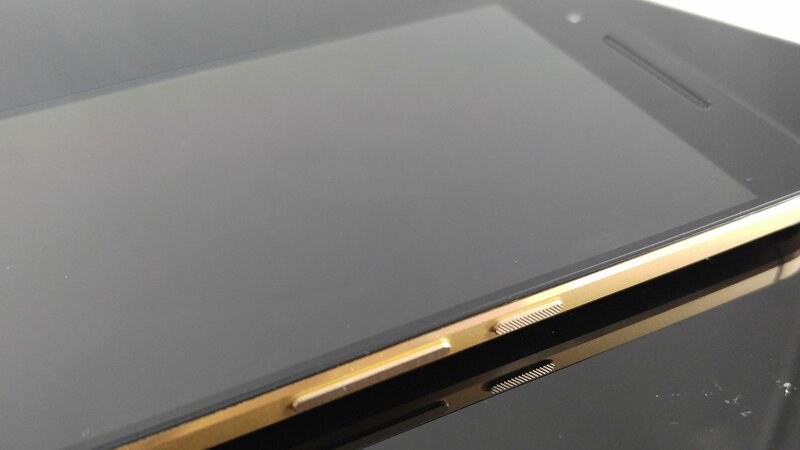 The story is the same for other manufacturers of Android phones and is the cause behind fragmentation. Regardless, some people just love to have variety and Project Fi definitely lacks in that area for hardware. If you do consume enormous amounts of data Project Fi could end up costing you more money in the end. If you consume 15GB of data you would spend $170 on Project Fi per month and it might be better considering an unlimited plan from another major carrier. Is unlimited data and smartphone variety really worth it? I consider the Nexus 6P to be the best premium smartphone of 2015 and most other reviewers do too. Right now you can get the 2014 Nexus 6 which is still a rock star at Amazon.com for just $249.99 for the 32GB model in blue or white (prices subject to change). So if you are considering an “Unlimited Plan” but really only consume data like the average U.S. consumer at 2.5GB per month, you can get into Project Fi with the Nexus 6 at $249.99 and $45 per month for service. At $45 per month over the course of a year, your total service cost will be $540, plus the cost of the phone at $249.99 puts you at $790 for the year. If you use less data you will save even more money. If you were to jump onto AT&T’s Unlimited Plan at $100 per month, with the Samsung Galaxy Note5 at $700, you would be looking at $1900 per year for the total cost. You would be spending $1110 dollars more just for unlimited data! Is it really worth it to you? Or if you bought the $128GB Nexus 6P which retails at $650 you would still end up saving $710 per year over AT&T with a Samsung Galaxy Note 5. If you don’t want to take my word for it, I highly suggest you do your own research. Project Fi does not set you up on contracts, and you can set up a new line if you are interested for free. Amazon allows returns for 30 days on all of its products, so you can pick up a Nexus device there knowing you can send the device back later for a full refund. Set up a Project Fi account and try it out. If you don’t like it, simply cancel your service and return your Nexus device. I am not an advocate for buying and returning devices, but phones are an expensive device and some of us cannot afford to just buy another device outright. But do try and limit buying and returning devices as that policy does exist to protect us from bad purchases and is not intended for trying out devices. Do your homework, and stop buying into the games that the major carriers distract you with, and you can potentially save yourself hundreds of dollars while getting top notch customer and cellular service through Google’s Project Fi. I highly recommend it. Here are a few handy links to get you pointed in the right direction.